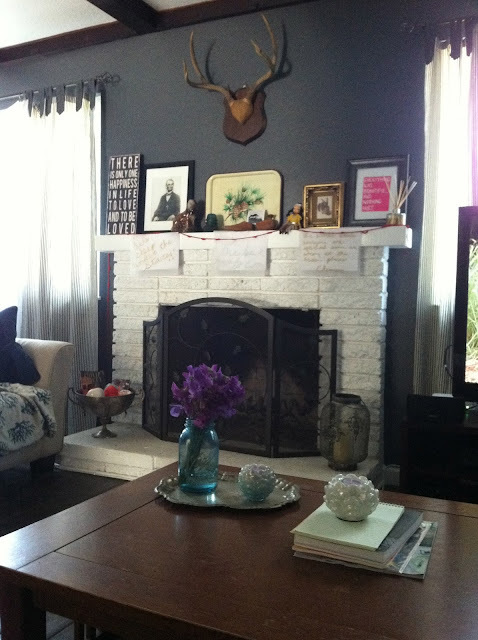 I love our white fire place and mantle. When we moved in it was tan brick and full of soot that wouldn't come off even with harsh chemicals. So I took a can of primer and turned it into something much more livable. In other home news, we got new duct work put in the last two days. It was not a fun process, but it's nice to have it done and know our house is better insulated and that healthier air is flowing through. I also think our house is ready for some redecorating. I have so much vintage stuff that I keep some hidden away in closets and rearrange them whenever I feel like it. It's been a few months, so time for a change. 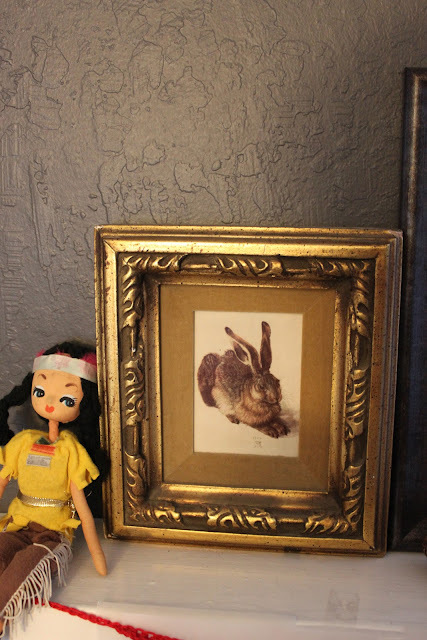 Our house is so cozy, and full of interesting things. I love all my collections and other goodies. I also adore our recently renovated kitchen. It is amazing and I feel so at home in it. What do you love most about your nest? It took me almost nine years to get my house together in a way I like. So take your time! Oh my goodness your house is beautiful! I love it!